On the day they traded away Ervin Santana, the Los Angeles Angels are not about to stop there as Dan Haren is also reportedly up for sale. Coming off his worst season ever when many wondered whether all those 200-inning seasons finally ruined his arm, Haren is not exactly a name that is hot right now. He has a $15.5 million option that has to be decided on by Friday so it is likely the team will try to find a match before than. Analysis: That option is very pricey for a guy coming off such a rough season and it is likely the Angels won't find a partner at that cost. Haren could rebound in 2013 but he was so miserable last season that we too are wondering if his arm is shot. The Kansas City Royals let closer Joakim Soria go on Wednesday as they failed to pick up his option year. Soria is coming off Tommy John surgery but both sides express hope a deal could eventually be reached. Analysis: Soria is an interesting name to monitor as he was an elite closer before suffering through the Tommy John surgery last season. Teams like the Red Sox, Mets, and Diamondbacks are in the market for a closer and Soria surely will come up in coversation for those clubs. The success rate in coming back from the surgery is very high so Soria could quickly go back to being a top tier guy before too long. The Tampa Bay Rays picked up the option years on closer Fernando Rodney and SP James Shields on Wednesday. Analysis: The Rays are in talks with the Los Angeles Dodgers about Shields and it is likely them picking up the option is an element to this. Meanwhile Rodney is back to serve as the closer after he shockingly was the best in the game in 2012. The Los Angeles Angels traded SP Ervin Santana to the Kansas City Royals along with cash for LHP Brandon Sisk on Wednesday. Beforehand the Angels picked up Santana's option year at 13 million and than quickly moved him to the Royals. Analysis: This move does nothing to change Santana's fantasy baseball value as he leaves a weak AL West to pitch in a neutral park in Kansas City. He has alternated good and bad years the last gew seasons and is nothing more than a SP 5. The Chicago White Sox re-signed SP Jake Peavy to a two-year/13 million dollar contract with an option for 2015. Analysis: We would have liked to have seen Peavy sign on with a National League team or head to the AL West but he was tremendous in a nice comeback season in 2012. He looked like his old San Diego Padres self at times but Peavy was an injury-marred mess up until the start of last season. He should be looked at with a bit of a wary eye for 2012 as I can't imagine him staying so healthy again. New York Yankees closer Rafael Soriano opted out of his contract. Analysis: Not a surprise as Soriano is coming off a blockbuster season as one of the best performing closers in the game. In a season where there was unparalleled chaos in the closer ranks, Soriano could command a nice haul in free agency. With Mariano Rivera's future up for debate, Soriano has the hammer on the Yankees when it comes to a new deal. Other possible suitors could be Boston, Miami, or Cleveland. The New York Mets picked up the 5-million dollar option on SP R.A. Dickey, ensuring he will be with the team for at least the start of the 2013 season. The Mets are currently working on a contract extension for Dickey, who comes off a season where he won 20 games which could net the Cy Young. Analysis: Dickey was absolutely phenomenal last season and is now a firm SP 2 in fantasy baseball. Forget the fact he is a knuckleballer as Dickey has been good to great the last two seasons. The New York Mets picked up third baseman David Wright's 16-million option year, keeping him under control for the 2013 season. The team and Wright are currently discussing a contract extension, with nothing imminent. Analysis: If the Mets and Wright don't come to an agreement be spring training, look for the team to start listening to offers for the 6-time All Star. While not the 2008 first round monster he used to be, Wright remains one of the very best fantasy baseball third baseman. It is time to once again check in on the 2012 fantasy football updated QB rankings. Lot's of moving going on like usual. Let's get right to it. 2. Matt Ryan-Huge game against Philly leaps him over Brees for now. 4. Robert Griffin III-Upward and onward we go. What a season. 5. Tom Brady-Monster game against Rams in Great Britain. No signs of slowing down. 6. Peyton Manning-Passes his brother with a phenomenal outing against New Orleans. Back to his old self I would say. 8. Ben Roethlisberger-Still has terrible protection but weapons top notch (Brown, Wallace, Miller). 10. Matt Schaub-Yes Arian Foster stealing more than a few scores but he is playing well. 11. Josh Freeman_Shooting up the rankings fast with three awesome games in a row. Buc's now a passing team. 12. Matthew Stafford-Looks nothing like the top tier guy he was last season. Have no answers on this. 13. Joe Flacco-Hasn't had a good game in a month. 14. Russell Wilson Jr.-Check out his performance the last month. 15. Philip Rivers-Just ugly all the way around and the team thinks he is hurt. 17. Tony Romo-Just ugly all the way around and the team doesn't believe he is hurt. 18. Cam Newton-His prima donna ways combined with poor play turning him into one gigantic mess this season. 20. Jay Cutler-Continues to be plagued by awful protection and interceptions. Only a backup option at this point. Draft Strategy: The status quo remains the same when it comes to drafting a catcher for 2013 fantasy baseball. The bust potential is higher here than at any position other than starting pitcher and for good reason. Constant deflections from bats, baseballs, collisions at the plate, games missed due to rest days, and the wearing down effect of working so many innings in the squat position make these stocks a dicey early round pick. Prime evidence of this trend last season was the disappointing years of Carlos Santana and Brian McCann who both put up horrid averages and took a step back in production from the year before. 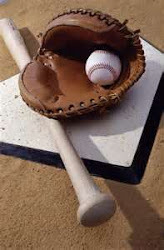 We continue to preach looking for a proven catcher who is coming off a down year or someone who is coming up from the minors with buzz attached to his name for the start of the season. Last year the guys who fit this criteria were Matt Wieters (a profit player despite a weak average) and Jesus Montero (very solid first season). Buster Posey is as good a hitter as you can get in the major leagues and his power is much more dependable than Joe Mauer’s when he came off his ridiculously great 2009 campaign but the risks are still very high here. After all Posey himself missed almost all of 2010 due to suffering a broken a leg in a home plate collision so your best bet is to come back to this position later on as the depth is better than it has been in years. 1. Buster Posey: The guy was an absolute monster in 2012 as Posey hit ..336 with 24 home runs and 103 RBI. The power he showed initially in his rookie 2009 season has held steady and even improved despite not showing much in the minors beforehand. Posey has likely fully grown into his power and so that stat should be very dependable going forward along with the RBI’s and the high batting average. Flat out Posey is Joe Mauer with pop who also doesn’t have the litany of injuries dotting his health chart. Look for more of the same in 2013 but cross your fingers the second round pick you use here doesn’t blow up due to the health risks associated with catchers. 2. Carlos Santana: It was certainly not the continuation of his breakout 2010 for Santana last season as his poor contact rate continued to manifest itself in an ugly average. Altogether Santana struck out an unacceptable 101 times in 507 at-bats and his home run rate fell off dramatically as well which saw a drop there from 27 to 18. Remember though that Santana will still only be 27 this upcoming season and he has hinted at 30 home run power if all breaks right. Another positive is that Santana plays 1B or DH when not behind the plate which helps his counting stats and overall game total. Chalk up 2011 to some growing pains and give Santana another shot in 2013 as guys who can hit for the power he is capable of at catcher are extremely rare. Again be sure to place your order for the 2013 Fantasy Sports Boss Fantasy Baseball Draft Guide by using the BUY NOW tab on the homepage. Will release next week! HURRICANE SANDY DID A NUMBER ON US! Hurricane Sandy roared through out main location here in Long Island, NY and knocked out power for 24 hours. We are back up and running and will be putting up all the usuals again starting Wednesday. Thanks for your patience. Updating an earlier item refuting a report about the benching of Philadelphia Eagles QB Michael Vick, head coach Andy Reid said he would in fact start in Week 9. A team source indicated Nick Foles would get the start instead of Vick this Sunday but the about-face was made before Reid's press conference. Analysis: This is getting more interesting by the day. It is looking like there might have been a difference of opinion between Reid and owner Jeffrey Lurie, with the coach wanting Vick on the bench. Stay tuned. The Philadelphia Eagles will bench QB Michael Vick for Week 9 and instead turn to rookie Nick Foles to try and save their season. After the Eagles got blown out by the Atlanta Falcons on Sunday, head coach Andy Reid came to the decision after the game. Analysis: This is looking like the end of an era for both Vick and Reid in Philly and Foles now goes into the fire. While Foles played very well in the preseason, he has little fantasy football value until he shows he can be considered. Week 8 of fantasy football is in the books outside of Monday night's 49ers-Cardinals game so let's get right to all the notable injuries, along with their updates for all the key players. -Ryan Tannehill (quad): Tannehill left early in the first half of the team's win over the New York Jets with a quad/knee injury and didn't return. The rookie QB expressed after the game that he believes he will be able to face the Colts and that he was already feeling better. Head coach Joe Philbin was noncommital about Tannehill's status for Week 9 however as an MRI will be administered. Either way Tannehill is not much of a fantasy football option anyway. -Philip Rivers (arm? ): While not an official injury, executives and team officials believe that San Diego Chargers QB Philip Rivers is hiding some sort of arm injury which would explain his terrible play the last three weeks. Rivers and the Chargers are sinking fast and he noticeably had a decrease in zip on his throws in Sunday's loss to the Cleveland Browns. No comment yet on Rivers regarding this but it is likely he will say he is fine. Rivers is now working on two straight listless seasons and while some blame could lay in his lack of weapons, he also has not thrown the football well by any means. -Jamaal Charles: No injury to speak of with Charles as Peyton Hillis got the majority of carries in Sunday's game against the Oakland Raiders. Head coach Romeo Crennel said he was riding the hot hand which no doubt ticked off Charles' fantasy football owners. This is a non-story as far as health is concerned but the fact Crennel would sit Charles so long has to be at least monitored. -Dallas Cowboys RB DeMarco Murray is likely to have a good chance to play in Week 9 as he reported his injured foot is already feeling better. Felix Jones has played terribly in his place and so if Murray clears a practice this week, he should be out there. While he has struggled at times, Murray has also done put up some big games this season. There you have it. Not too many big news items but as always check back for more updates throughout the week. According to a team source, Pittsburgh Steelers RB Jonathan Dwyer is likely going to remain the team's starter, even when Rashard Mendenhall returns. Dwyer has been the most effective runner for the Steelers this season in helping the team gain balance on offense. Analysis: This is great news for Dwyer owners, who along with Alfred Morris, has been one of the best fantasy football values of the season. Mendenhall owners meanwhile are obviously not happy but they also can't be too surprised since he has played poorly over the last year-plus along with dealing with injuries. Kansas City Chiefs QB Brady Quinn was forced out of Sunday's game against the Oakland Raiders with some sort of head injury. He was replaced by Matt Cassell. Analysis: Quinn was likely not on any fantasy football roster other than his mom's so this doesn't impact anyone. Cassel is back under center so he is good enough to return from his own head injury suffered a few weeks ago. Dallas Cowboys RB Felix Jones is ACTIVE and will START Sunday against the New York Giants. Jones was limited during the week with a sore knee but feels well enough to be out there. Analysis: We expected this all along. Jones is just an all right start as he never has lived up to his draft slot. Miami Dolphins QB Ryan Tannehill exited the team's game against the New York Jets in the first quarter with a quad injury. He is questionable to return and has been replaced by Matt Moore under center. Analysis: Tannehill is on the outside looking in as far as being fantasy football starting material so this news doensn't impact too many players. A quad injury is tough so he faces an uphill battle to get back onto the field today. Indianapolis Colts RB Donald Brown is ACTIVE and will START Sunday after missing two weeks with a bum knee. Analysis: Cut Vic Ballard loose and if you are in a pinch put Brown in there as he has a nice matchup today agains the Tennessee Titans. He may not get the full workload though as Ballard played well enough in his absence to warrant some carries today. Cleveland Browns rookie RB Trent Richarson will be active and start Sunday despite still dealing with some sore ribs. Richardson could split some work with Montario Hardesty however in order to not overwork him. Analysis: Richardson should not be started unless absolutely necessary as Pat Shurmer is likely to use Hardesty on about half the carries. Last week Richardson was active but hardly played as he was dealing with more pain in his ribs. The rookie has shown flashes of terrific ability but is also gaining a label of being injury-prone. Green Bay Packers WR Jordy Nelson is not going to play on Sunday according to a team source due to a hamstring injury. He will still likely head out for pregame warmups but is not fit enough to be out there. Analysis: Nelson is a huge loss for his fantasy football owners and Randall Cobb and James Jones will be the starters for Sunday's game. If either guy is still lingering on waiver wires, pick them up right away. New Orleans Saints tight end Jimmy Graham made the trip to Denver for Sunday's night's game but he remains a game-time decision due to ongoing ankle problems. Graham once again has missed practices during the week getting the ankle up to speed and said if it were left up to him that he would be out there. Anlaysis: This is a very tough call since the Saints don't play until most of the other games are finished which limits the possible replacements. Your best route is to pick up Jacob Tamme if available so that you have him as an alternative in case Graham can't get out there. New York Giants running back Ahmad Bradshaw is expected to be ACTIVE and START for the team in their game against the Dallas Cowboys. Bradshaw has missed practice during the week with yet more foot problems but this is nothing knew for the Giants runner in finding a way to get himself ready to go when the lights go on. Analysis: We thought this all along as Bradshaw has had injured feet almost from the start of his career. While it is not an optimal way to begin a game, Bradshaw at least will give it a go. The Cowboys are without ace lineabcker Sean Lee so Bradshaw could have a decvent outing if he can tolerate the discomfort. Winds are expecting to range between 25-45 mph in New York and Philly, with Pittsburgh likely escaping the gales until after the game. Rain is also going to grow in intensity, again first in New York and Philly, and than later in Pittsburgh. Thus the quarterabacks in these games could see a depression in numbers That means you fantasy football ownes of Matt Ryan, Michael Vick, Ryan Tannehill, Mark Sanchez and to a lesser extent Ben Roethlisberger and RG3. Thus if you have a decent backup, you might want to go that route given the rough conditions. The flip side to all this is that the runing game will be leaned on heavily in these games, with Reggie Bush, LeSean McCoy, Shonn Greene, Michael Turner, Alfred Morris, and whoever stats for Pittsburgh in line for big time outings this week. Adjust your lineups accordingly and don't get caught unprepared here as we head closer to the fantasy football playoffs. Green Bay Packers WR Jordy Nelson will be listed as a game-time decision for Sunday's game due to a hamstring strain. Analysis: Being a game-time decision means Nelson is about 50/50 to play so this could go either way. It became more of a problem later in the week and Nelson will try to go out for warmups Sunday to see if he can play with it. James Jones and Randall Cobb will be the starters in place of Nelson and Greg Jennings is he can't go. Green Bay Packers WR Greg Jennings will undergo surgery to repair a torn abdominal muscle and the rest of his 2012 season could be in jeopardy. No statement has been made from the Green Bay front office or from head coach Mike McCarthy so it is not known what his official prognosis will be. Analysis: This could finish Jennings off for 2012 and solidify his status as one of the more sizable fantasy football busts for this season. Those who made hedge adds of Randall Cobb or James Jones should continue to yield good fortune out of those smart moves. New England Patriots tight end Aaron Hernandez failed to make the trip to London to play the St. Louis Rams and will miss Sunday's game with ongoing ankle problems. After miss three games with a high ankle sprain, Hernandez came back to play the last two weeks. However he reportedly was still struggling to make cuts and so the team felt the need to leave him behind this week. Analysis: Not good. Hernandez once agian is trying the patience of his fantasy football owners. As someone who championed Hernandez all off-season and who drafted him in the Experts League, I feel your pain. However I early on made a trade for Jason Witten due to my bad feeling about Hernandez and that injury. Hopefully you did the same. According to a source close to the team, New York Yankees longtime closer Mariano Rivera is leaning toward retirement after missing most of the 2012 season with a blown out knee. Rivera hurt the knee while shagging fly balls before a game in Kansas City and right away said he would be back for 2013 since he didn't want to end his career on a sour note. Recent reports however indicate that Rivera has spoken to GM Brian Cashman and told him he is completely undecided about a return. Analysis: It would be a real shame to not see such a special player like Rivera ever suit up again. He was still as good as ever before getting hurt last season and has earned the right to never be doubted ever again. If Rivera does retire, than Rafael Soriano will likely re-sign with the Yankees to be their closer, a job he did in excellent fashion in his place. Remember to reserve your copy of the 2013 Fantasy Sports Boss Fantasy Baseball Draft Guide: Early Off-Season Edition by clicking on the BUY NOW tab above. Draft Strategy: Outside of first baseman, the other position that is likely to dominate the first round of many fantasy baseball drafts this winter are the multi-talented outfielders. It is here where the likely top overall pick resides in the form of the Milwaukee Brewers’ Ryan Braun and he will be followed very closely by the newest superstar in the game of baseball, the Los Angeles Angels’ Mike Trout. You need a top three pick to secure either one of those guys in almost all formats so luck plays a role there. Outside of that possibility, the Dodgers’ Matt Kemp, Toronto’s Jose Bautista, Colorado’s Carlos Gonzalez Pittsburgh’s Andrew McCutchen, Texas’ Josh Hamilton, and the New York Yankees’ Curtis Granderson are all going to follow between rounds 1-3. So in essence outfield is absolutely stacked at the top and there are some fantastic options in the next tier as well such as Baltimore’s Adam Jones or Boston’s Jacoby Ellsbury. Overall the depth in the outfield is as deep as we have seen in years and you can go down to the late-teen and still get a player who could be an outfielder 1. Since almost all leagues require between 3-5 outfielders each day in the starting lineup, you want to make it a point to get one of these guys listed above in the first three rounds. You also want to have a second outfielder by the time the draft hits round 7 so that you don’t drop off to some shaky options after your top choice. From that point on go with the flow of the draft and answer to runs at the position. It is also here where you can take some risk since you have the 3-5 starting slots to play around with. Finally in three-outfielder formats, don’t burn one of the spots on a one-dimensional stolen base guy. Try and use your second base and shortstop spots to capitalize on steals and instead look for overall contributors when filling out your outfield. In five outfielder formats however, you can reserve a spot for a speed specialist like Rajai Davis or Ben Revere there. 1. Ryan Braun: Whether you believe Ryan Braun used steroids or not, you can’t argue that the guy puts up numbers that are truly hard to believe unless you see them. Braun has hit .332 and .319 the last two seasons, along with 33 and 41 home runs, 111 and 112 RBI, 109 and 108 runs scored, and 33 and 30 stolen bases. In other words Braun truly fills up each and every category for a hitter in fantasy baseball and he absolutely should be the number 1 overall draft pick in all formats. At 30 years old, Braun is flat in his hitting prime and so his video game numbers should continue to on for the next couple of seasons. Just a brilliant player. 2. Mike Trout: Never before has a player come up from the minor league and has such extreme success like Trout did in 2012. In fact it got utterly ridiculous at times at the numbers Trout was putting up on a daily basis at the ripe old age of 21. Already considered the fastest player in the game, Trout stole an obscene 49 bases in 559 at-bats, getting caught on only five occasions. The power was certainly more shocking as Trout hit 30 home runs and drove in 83 RBI to go along with 129 runs scored. To top it all off, Trout was a challenger for the batting title all season as he hit .326. You got all that? It is not an understatement to say that Trout has had the fastest rise of any hitter to possibly ever and if you don’t believe it, ask yourself if you can think of another guy who went from a May promotion to being considered for the number 1 overall pick in fantasy baseball the following season. It just hasn’t happened and the lucky owner who gets Trout with their top three pick will be generate envy from everyone else in the league. The term “the sky is the limit” was meant for Trout and we very well could be looking at a run at a 40/60 campaign which is just insane to imagine. New York Yankees ace C.C. Sabbathia underwent arthoscopic surgery on his left pitching elbow on Thursday after meeting with Dr. James Andrews for the second time in two months due to ongoing pain in the joint. Andrews once again determined that there was no structural damage in the joint and the surgery will have him back in shape well before spring training. Analysis: Great news for Sabbathia and his future fantasy baseball value as obvoiusly Tommy John surgery would have finished him for the 2013 season. His numbers slipped some in 2012 and he spent two stints on the DL for the first time in years as his ridiculously heavy workload could finally be catching up to him. We are a bit leery of making him an ace pitcher on any staff for next season due to that concern and one only has to look at the immediate fall of Dan Haren who like Sabbathia was an innings-eater who hit the wall last season. Sorry for being so light on the content the last week. Our staff has been doing double time preparing the first edition of the 2013 fantasy baseball draft guide. We will be back to putting up massive features and injury updates like you are used to seeing since the guide is coming into place. We appreciate your understanding and look forward to continue giving you the best fantasy sports boss advice around. When 2012 fantasy football drafts rolled around, we placed Baltimore Ravens running back Ray Rice on the top of our overall rankings, just ahead of the Houston Texans' Arian Foster. Our reasoning for this was the fact that Foster was the more injury-prone of the two, along with thinking that super backup Ben Tate would take more than a few carries, whereas Rice had no such competition. Fast forward through seven weeks of the season and to this point there is no contest that Foster has grossly outproduced Rice in the overall scheme of things and in any format. The Ravens themselves have infuriated Rice's owners and gone against all sense of reason in underutilizing their best player in their newfound no-huddle passing attack. Thus it wouldn't be an understatement to say that those were fortunate enough to land Rice in the first two picks of their draft likely expecting much more at this point in the season as far as numbers are concerned. So without further delay let's dig in a bit and find out what the deal is with Rice and what the future has in store. Looking at those numbers, Rice is quite a bit behind the pace he was at last season when he rushed for over 1,300 yards with 12 touchdowns, while catching 76 passes for 704 yards. The blame should not be placed on Rice however as he has averaged a splendid 4.9 yards per rush. Instead the Ravens and head coach John Harbaugh are to blame since they are not riding Rice like they horse he is. Instead Harbaugh has allowed offensive coordinator Cam Cameron to fall in love with the no-huddle offense and thus pass the football more than running it. Rice can't invent carries and yards out of the air so he is at the mercy at what Cameron ultimately decides to do. Again this is not a Rice problem since he is not hurt, his average is great, and he is still making impact plays when he touches the football. As long as Cameron keeps throwing it like this however, Rice's numbers can't help but be negatively impacted. The Ravens are coming off a terrible loss to the Houston Texans where Joe Flacco and the rest of the passing game couldn't keep up with Matt Schaub and company. Thus Cameron might finally be realizing that his best option on offense is to ride Rice into the ground if need be. If that happens, than Rice will be right back as possibly the number 1 player in fantasy football since his talent is never in doubt. Overall, Ray Rice's owners have a right to be annoyed but it is not like he has been bad either. The numbers are down a bit but again through no fault of his own. These things have a way or working themselves out and so we see Rice having a big second half, especially with poor weather on the way with winter arriving. It is time to check in once again with the 2012 fantasy football tight end rankings. 1. Rob Gronkowski-Now firmly ahead of preseason number 1 Jimmy Graham by a decent margin. 2. Tony Gonzalez-No really. The numbers speak for themselves. What a value for a guy who was picked on average as the seventh highest tight end in drafts. 3. Jason Witten-Has really turned it on the last three weeks as the dynamo pass catcher he has always been. 4. Jimmy Graham-Injuries and production down across the board has him slipping some. 5. Owen Daniels-Looks completely recovered from knee issues. Doing a Jason Witten-lite impression with the raw receptions. 6. Aaron Hernandez-Back to being 1B to Gronkowski's 1A. 7. Antonio Gates-Still chugging along but not the stud he once was. 8. Brandon Pettigrew-Whole Lions offense is struggling but at least Pettigrew is still catching passes. Still not scoring however. 9. Martellus Bennett: Coming on real strong the last two weeks. Becoming a trusted goal line option. 10. Vernon Davis: Mysteriously been a no-show for a few games. Lack of total throws in the 49ers offense hurts his botttom line. 11. Jermichael Finley-Could be so much more as he leads the NFL in dropped passes this season. 12. Dennis Pitta-Been up and down lately after a tremendous start. Ravens passing game struggling. 13. Fred Davis-Injuries once again sends him tumbling down the rankings. 14. Jermaine Gresham-Has all the talent in the world but Andy Dalton doesn't look his way consistently enough. 15. Greg Olsen-Panthers offense is a mess and everyone being brought down with it. There you have it. As always let us know what you think. Heading into the 2012 fantasy football season, there are a firm consensus with regards to the top five quarterbacks in our make pretend game. At the top of the list of course was Green Bay's Aaron Rodgers, who was followed closely by New Orleans' Drew Brees. Spots three and four were where New England's Tom Brady and newcomer to the list, Detroit's Matthew Stafford resided. The latter no doubt earned his place in close proximity to those annual stalwarts when the former first overall pick of the 2009 draft threw for an insane 5,038 yards with 41 touchdowns and 16 picks. Making matters even more sweet for Stafford and his fantasy football owners was the fact he was able to stay healthy for the entire season for the first time in his career. So with all that goodwill in the bank, there was little hesitation in making him a second round pick this past summer, with expectations of a repeat of 2011 firmly anticipated. Fast forward to the end of Monday night's desultory loss to the Chicago Bears by a score of 13-7 where the Lions scored their only points with 30 second left in the game which was already decided. That garbage time touchdown left Stafford with only 5 touchdowns and 6 interceptions and 1,754 yards for the 2-4 Lions. Stafford's stats have been downright ugly and shocking just the same since he has the same offensive coordinator, head coach, and surrounding cast with regards to his receivers, backs, and tight ends. If the season ended today, Stafford would be one to the biggest busts of fantasy football but luckily for his owners he still has a lot of time left to change for the better. So what exactly is going on with Stafford as to why he is playing so poorly? Stafford looks nothing like the stud he was all of last season, with the interceptions being the chief concern. So far there has been no word on any sort of injury so we have to look past that notion. Also like I said earlier the same cast of characters are back on offense, including the best receiver in football by a mile in Calvin Johnson. The running game has actually been better as well with Mikel Leshoure contributing. Either way it has not been good and there is nothing on the surface to explain it. Really what we could be looking at is the fact that opposing defensive coordinators are double covering Johnson on almost every snap which has forced Stafford to look outside of his comfort zone. Sure Brandon Pettigrew, Titus Young, and Nate Burleson (until he was lost for the season with a busted leg) are decent weapons but none can hold a candle to Johnson. We really are left with trusting that Stafford can figure it out and make the adjustments which he hasn't done to this point. Really when it comes down to it, this falls under the heading of that Stafford is just too good a player to continue on this path. If you are hurting at QB, it wouldn't be the worst idea in the world to throw a trade offer to the panicky Stafford owner in your league. He still had a vast array of talent to throw to so the numbers should turn shortly. Go get him. Jacksonville Jaguars running back Maurice Jones-Drew did NOT suffer a Lisfranc foot injury according to ESPN's Adam Schefter. Jones-Drew has already been ruled out for Week 7 and Schefter reports that he will be out beyond that point as well. Rashad Jennings will start in his place. Analysis: Good and bad news. A Lisfranc would have meant 4-6 weeks for MJD but now we could be looking at a 2-3 week timetable. Jennings should be front and center as a replacement, especially in PPR formats. Detroit Lions WR Nate Burleson is out for the rest of 2012 with a broken leg suffered in Monday night's loss to the Chicago Bears. Titus Young will replace Burleson in the starting lineup. Analysis: Tough loss for Burleson's fantasy football owners as the guy has quietly been a solid performer the last few seasons. Young immediately becomes a person of interest and should be added in most formats who need receiver help. Draft Strategy: One of the prime Fantasy Sports Boss commandments when it comes to the draft and starting pitching is to not even look at anyone here until round 5 at the earliest. This is one of the most tried and true methods for fantasy baseball success and there are many reasons why this is the case. As much as we would love to have Clayton Kershaw or Justin Verlander sitting on our roster, using a top draft pick on those two would be a colossal mistake. Even the most ardent supporter of taking a starting pitcher would admit that this is the most injury-ravaged position in the game by far. The unnatural act of throwing a baseball at 90-plus mph over 100 times every five days lends itself to a massive amount of sore elbows and shoulders and trips to Dr. Death James Andrews. Ask the owners of Roy Halladay last season or Adam Wainwright 2011 about that. In addition to the injury issues, you get much more bang for your fantasy baseball buck by using his first four or five picks on a hitter due to the fact that they play 6-7 times a week, whereas a starting pitcher only has one or two outings in the same time span. Yet another reason for going the hitter route is that their stats are much less volatile than what you see from a starting pitcher. Pitchers tend to see their numbers swing up or down much more than a proven hitter and thus going with the latter option takes some more angst out of the equation. As if we haven’t given you enough reasons to avoid taking starters early, we give you one last one which is the fact that we are now flat in the middle of the era of the pitcher. All one has to do is look at how home runs, RBI’s, and batting averages are down from the steroids era of the late 90’s and early 2000’s. Those who throw the baseball for a living are ruling the game and thus the depth at the position is as deep as it has ever been. Over the last few seasons, stud aces like Cole Hamels, Jon Lester (up until last season), Zack Greinke, Dan Haren, Ian Kennedy, David Price, and Matt Cain have all been available for selection in round 5. Just take a look at the ADP (average draft position) the last few seasons as proof. All of those names listed above are perfectly capable of anchoring your pitching staff and even exceed some of the guys picked before them like with Price and Cain last season. Thus there is really no reason at all to even think about selecting a starter until round 5. Don’t fall into the trap and make that mistake because it just is not necessary and in the end will set you back. 1. Justin Verlander: Last season we flipped it around and had Verlander behind Clayton Kershaw due to concerns about the crazy workload he had in 2011. However Kershaw wound up being the one to deal with injury issues, while Verlander turned in another workhorse Cy Young campaign in winning 17 games while pitching to a 2.64 ERA and 1.06 while punching out 239 batters. We still worry about all those innings as Verlander has pitched deep into the postseason two years in a row but so far he has shown no signs of being affected by it. Verlander should once again lead the majors in strikeouts and be right there in the Cy Young voting. No contest that he is the top dog among all starters but it is up to you whether you want to use a late first round pick on a pitcher which is something we veer away from. 2. Clayton Kershaw: Kershaw was fabulous once again in 2012 in pitching to a 2.53 ERA and 1.02 WHIP with 229 strikeouts. His ERA and WHIP were actually better than Justin Verlander’s but the fact Kershaw came down with a second half hip injury that at one point was looking like it would lead to surgery. That never happened and both Kershaw and the Dodgers say he will be 100 percent for 2013. While that sounds nice to hear, we can’t feel completely secure about Kershaw until we see him pitch without problems during spring training. The fact it will cost so much to draft him makes Kershaw potentially a major injury risk. The talent though is as good as anyone in baseball however. Jacksonville Jaguars RB Maurice Jones-Drew has already been ruled OUT for Week 8 with a foot injury that the team refused to elaborate on as far as the severity. Head coach Mike Mularkey also said that Jones-Drew's absence could be for an "extended" amount of time. Rashad Jennings will start in his place. Analysis: Any foot injury for a runner is almost an automatic missed game and now it is really about how long Jones-Drew could be out. The fact the team won't address the severity leads me to believe we could be looking at something more than a one-game deal so start adding Jennings or someone like Rod Stephens-Howling from the Cardinals as a replacement. Chris Johnson: 18 carries for 195 yards with with 2 TD along with 1 catch for 3 yards. This was a reminder of how awesome Johnson was before his holdout last season sent him on a professional spiral. We do have to consider that the Bills are quite possibly the worst defense in the league but Johnson is also still athletically gifted where he can take the ball to the house on any play. We were all-in on Johnson before the season started so we can't backtrack now but realistically speaking, we like to believe that his ability is impossibly to keep down the rest of the way. Fred Jackson: 9 carries for 71 yards along with 8 catches for 49 yards with 1 TD. C.J. who? Jackson was unbelievable in this one from a PPR perspective and it is in that format where he is absolutely a RB 2 even with the presence of Spiller. C.J. Spiller: 12 carries for 70 yards along with 6 catches for 32 yards. Spiller did well himself here in the team's shootout with the Titans. Sure it is annoying with Jackson taking half the workload but Spiller can continue with his stellar fantasy football play even without the majority of carries. Trent Richardson: 8 carries for 8 yards along with 2 catches for 11 yards. We recommended sitting Richardson since he was going in with bruised ribs and this is why. Just a horrendous break for Richardson's owners who didn't listen. Vic Ballard: 20 carries for 84 yards along with 1 catch for 19 yards. Better for Ballard than his no-show last week but nothing impressive yet. Donald Brown will be back in a week or two anyway. Ray Rice: 9 carries for 42 yards along with 5 catches for 12 yards. It is not even close right now between consensus preseason top two backs Rice and Arian Foster. And this game reinforced that even more. Arian Foster: 19 carries for 98 yards and 2 TD's along with 1 catch for 5 yards. Foster is collecting touchdowns like they are football cards. For the third season in a row, Foster is proving to have no peer. Alex Green: 20 carries for 35 yards along with 4 catches for 29 yards. Yours truly took a shot here since I had an injured DeMarco Murray and a bye week LeSean McCoy. Needless to say I lost. Steven Jackson: 12 carries for 57 yards and 1 TD. The Rams are now openly listening to offers for Jackson who was actually decent here with only a few carries. Either way he should still be nailed to the fantasy football bench. Doug Martin: 16 carries for 85 yards with 1 TD along with 3 catches for 37 yards. Martin has not lived up to the hype yet but no one ever said that was a lock. At least he is not the rookie version of Ryan Matthews. Felix Jones: 15 carries for 44 yards along with 5 catches for 30 yards. Once again Jones lets down the fantasy football community looking for some bye week help. He is also hurt yet again. No surprises on either front. Adrian Peterson: 23 carries for 153 yards with 1 TD along with 2 catches for 6 yards. There we go! It took AP a little while but this is the closest resemblance his pre-injury version. Upward and onward we go. Alfred Morris: 22 carries for 120 yards and 1 fumble along with 2 catches for 10 yards. The next time Mike Shanahan drafts a running back in the sixth round, be sure to make him a second round pick. Ahmad Bradshaw: 12 carries for 43 yards with 1 TD along with 4 catches for 22 yards. Tough to figure out how Bradshaw ripped up the 49ers but struggled against the porous Redskins. At least the touchdown prevented a complete washout. Rashad Jennings: 21 carries for 44 yards and 1 TD along with 7 catches for 58 yards. PPR players and MJD owners take notice. Pick this guy up. Darren McFadden: 19 carries for 53 yards along with 4 catches for 28 yards. On and on it goes with McFadden's ugly rushing games. And the worst part is that he is completely healthy so far which used to be his biggest worry. Shonn Greene: 16 carries for 54 yards with 1 TD along with 6 catches for 34 yards. Greene has really developed into a nice receiver and his last two weeks have gotten him leash in all formats. Just keep an eye on the head injury he suffered. Stevan Ridley: 17 carries for 65 yards. The encore to Ridley's awesome Week has not been so solid. He is slipping dangerously to running back 3 territory. Jonathan Dwyer: 17 carries for 122 yards. Huge game for Dwyer which came out of the blue. It doesn't figure to last long since Rashard Mendenhall is on his way back. BenJarvis Green-Ellis: 18 carries for 69 yards. Yawn. So far Green-Ellis has not been so good. Leave him as your running back 3 unless he starts to show more production. Matt Hasselbeck: 22/33 for 205 yards and 1 TD. As someone who picked up Hasselbeck just for this week since Matt Ryan was on a bye, I was frustrated with this outing. The Titans went up and down the field but those drives ended up mostly in Chris Johnson TD runs. Instead of should have picked up this guy. Ryan Fitzpatrick: 27/35 for 225 yards with 3 TD and 1 INT. I was leery of adding Fitzpatrick due to all his turnovers and he did ultimately cost the Bills the game with a late INT but overall he was the best potential bye week fill-in who did his part performance-wise. Overall though he remains strictly a matchup play. Brandon Weeden: 25/41 for 264 yards with 2 TD. Weeden continues to play well since his disastrous Week 1 outing against the Eagles. The future is looking better and better by the week for Weeden but even on this extreme bye week, it is not likely many were invested in this game. Andrew Luck: 16/29 for 186 yards with 1 rushing TD. Without the rushing TD, this game would have been a whole lot of nothing. Luck has not been good for two weeks in a row now and so expectations need to continue being put in check. Matt Schaub: 23/37 for 256 yards with 2 TD. There is no doubt Schaub's numbers could be better but the the fact Arian Foster is on a crazy touchdown pace doesn't help matters. Still he is piloting a big time offense and has a firm spot as a top ten QB. Joe Flacco: 21/43 for 147 yards with 1 TD and 2 INT. Three weeks in a row now where Flacco has been shaky at best. It is looking more and more like his performance the first three weeks was a bit of an anomaly. These latest setbacks reinforce his standing as a matchup play. Aaron Rodgers: 30/37 for 342 yards with 3 TD's. I bet you there are only a handful of Rodgers owners who lost either this week or last week. He has no peer when it comes to the position. Drew Brees: 27/37 for 377 yards with 4 TD and 1 INT. Typical Drew Brees game. I stopped shaking my head at his nutty stats a long time ago. Josh Freeman: 24/42 for 420 yards with 3 TD. Aaron Rodgers has been the best fantasy football QB the last two weeks and he is followed closely behind by this guy. Freeman is starting to re-gather the accolades he earned during his very good rookie season and the struggles of the Tampa Bay running game has shifted the offensive philosophy to throwing it more. Now is the time to pick him up in order to see if this can continue on. We like what we see. Tony Romo: 24/34 for 227 yards with 1 TD. Romo is way behind the touchdown pace he set last season and it seems like everyone in a Dallas uniform is not living up to expectations. Again we reiterate that we still are all in on Romo so stay patient. Cam Newton: 21/37 for 233 yards with 1 TD and 1 INT along with 64 yards rushing and 1 fumble. After the game Newton was screaming about changing up the offense which is really rich coming from a mistake-prone second-year diva/player. Flat out Newton has been terrible and he need only look in the mirror to find out why. Christian Ponder: 8/17 for 58 yards with 1 TD and 2 INT. Ponder did everything he could to give this game away and his last two performances are a firm answer to those who keep asking me whether is worth using as a fantasy football starter. Eli Manning: 26/40 for 337 yards with 1 TD and 2 INT. Manning was not at his best despite the yardage. The two picks were horrendous throws but at least he salvaged the day somewhat with the late TD to Victor Cruz. Robert Griffin III: 20/28 for 258 yards with 2 TD and 1 INT along with 89 yards rushing and 1 fumble. NFL defenses have no answer for RG3 to this point and he is second only to Rodgers in fantasy football production. How about that for a rookie? Cam Newton 2011 who? Tom Brady: 26/42 for 259 yards with 2 TD. Ho-hum. Nothing unusual to speak of here. Brady gave you the requisite two scores and led his team to a late victory. Andy Dalton: 14/28 for 105 yards with 1 TD and 1 INT. Dalton wouldn't be the first QB to struggle against the Steelers defense but there is no doubt he ruined a lot of fantasy football owners' days. Stay the course as everyone is entitled to a bad game or two. Ben Roethlisberger: 27/37 for 278 yards with 1 TD and 1 INT. You always want at least two TD's from your fantasy football starting QB but you can't get everything you wish for. Week 7 saw some big name fantasy football players succumb to injury so let's get right to all the news. -Jacksonville Jaguars RB Maurice Jones-Drew no doubt cost most of his owners their matchup this week after being forced out very early in the first quarter of the team's game against the Oakland Raiders with a foot injury MJD was subsequently carted off the field and returned on crutches. The team would not elaborate on the injury and Jones-Drew didn't meet with the media. He will obviously head for an MRI in order to find out if there is some ligament damage of the dreaded Lisfranc sprain. All MJD owners need to immediately go out and pick up backup Rashard Jennings who performed tremendously in his place during the preseason. Stay tuned for updates tomorrow on MJD's status but be prepared for him to miss a game or two at least. -Maurice Jones-Drew's teammate, QB Blaine Gabbert suffered his own injury on Sunday, in his case being his shoulder. Gabbert was replaced by an ineffective Chad Henne and never returned to the game. He too will head for an MRI on Monday in order to determine the severity. Either way no one with a sane mind was owning the awful Gabbert who continues to show he can't consistently play. -Cleveland Browns head coach Pat Schurmer indicated that RB Trent Richardson did NOT suffer a setback with his bruised ribs, despite hardly playing in their loss to the Colts. Schurmur noted that he didn't want to overburden Richardson off his injury and that he will be good to go next week. -New York Jets RB Shonn Greene suffered a head injury during the team's loss to the New England Patriots on Sunday after an open field hit appeared to knock him cold for a second or two. However Greene actually came back for a carry in the overtime portion of the game before being removed again for good. The fact he was able to get back onto the field means he didn't suffer a concussion since that would violate NFL protocol but either way this needs to be monitored. Joe McKnight would be his replacement going forward but he is not worth an add unless you are in dire straits with your running backs this season. -Houston Texans backup RB Ben Tate suffered a hamstring injury during Sunday's win over the Ravens and didn't return. A hamstring injury is almost a guaranteed missed game but Tate was not doing much anyway behind Arian Foster. As always check back for more updates all day tomorrow. New York Yankees ace SP C.C. Sabbathia is headed for a second visit with Dr. James Andrews this week afterhe reported some more concern with his pitching elbow after his last playoff start where he got shelled by Detroit Tigers. Sabbathia spent an earlier stint on the DL with elbow soreness but an MRI performed by Andrews revealed no damage. His velocity was noticeably down in his last start however which raised the cause for more alarm. Analysis: Not good. Sabbathia has an incredible amount of innings on that elbow and it is only a matter of time before injury strikes which happened twice this season. The fact he is going back to Dr. Death is a bad omen and the worst case scenario would be if he needed Tommy John surgery. Stay tuned. Dallas Cowboys WR Dez Bryant will START Sunday despite deling with a sore groin leading up to the game against the Carolina Panthers. Analysis: We expected Bryant to play all along and he is coming off a stretch of very good play. He has a great matchup today against the terrible Panthers defense and is in line for another big game. New Orleans Saints tight end Jimmy Graham is OUT for Sunday's game against the Tampa Bay Buccaneers due to an ankle injury. Analysis: Graham is a huge loss for his fantasy football owners and overall he his numbers are down noticeably from last season. It is possible opposing defensive coordinators have found some way to defend him better but that is not a topic needed to be discussed today. New York Giants RB Ahmad Bradshaw will be a game-time decision on Sunday due to the foot injury he suffered this past week. Bradshaw missed practice Wednesday and than again on Friday andwould be replaced by Andre Brown if he can't go. Analysis: I would say it's about 60/40 Bradshaw sits since he couldn't practice Friday after doing some work Thursday. That probably meant his foot didn't respond well and so Brown would be a very solid fill-in against a porous Redskins defense if he can't go. As we spoke about more than a few times this week, fantasy football Week 7 is a rough one due to the sheer volume of big name players who will be on the figurative bench due to their team's being out of action. There are 6 NFL squads who are off this week which is the highest number you can get in a bye week and so fantasy football owners continued their scramble all week to try and fill out their open roster spots. Which leads us into our latest potential diamond in the rough, St. Louis Rams wide receiver Brandon Gibson who is a person of interest not only for this week but for the remainder of the season due to developments surrounding himself and the team this season. As far as Gibson's background is concerned, he was originally a sixth round draft pick of the Philadelphia Eagles back in 2009 out of Washington State but was cut during training camp. The Rams picked him up off waivers and immediately found a spot for him in their always thin receiver depth chart. Gibson was actually pretty impressive during his rookie season as he caught 34 passes for 348 yards and 1 touchdown. In the subsequent two seasons, Gibson moved up to the third receiver spot and even started on more than a few occasions when injuries hit. He would catch 53 passes in 2010 for 620 yards and two touchdowns and than follow that up with 36 catches for 431 yards and another touchdowns during the 2011 season. Fast forward to 2012 and this time around Gibson was guaranteed a starting spot for the Rams but would play second fiddle to QB Sam Bradford's favorite target, WR Danny Amendola. Amendola quickly reminded Gibson and everyone else that he was in fact the top receiving dog in their offense, with a 16-catch monster game as proof positive of this. His long history of injuries though cropped up again, this time a shoulder problem that will keep him out up to 8 weeks. Thus Gibson finally gets elevated to top receiver status and thus the opportunity to become a very useful piece in fantasy football. He quickly went to work in showing that he has the skill to be of use to fantasy football owners as he caught 7 passes for 91 yards last week against the Miami Dolphins. His ability to stretch the field has been a previously unknown part of his game but Gibson is going to work on opposing DB's and having success. Also the fact that Bradford tends to lock onto his top receivers means there should be opportunities for a bunch more passes heading in his direction. He absolutely should be picked up in all formats and is a decent start today in this bye week chaos. Anyone who is clearly the number one guy in his passing offense needs to be looked at closely and in the case of Gibson, so far so good. A flurry of trades went down late Saturday night that already is having an effect on the 2013 fantasy baseball season while the 2012 campaign finished up in the AL and NL championship series. Let's dig in on the trades and take a look at how these transactions affect the key players on their new teams. Arizona D-Backs Deal Outfielder Chris Young to Oakland A's for SS Cliff Pennington and minor league infielder Yordy Cabrera: The Diamonbacks finally gave up on Young and his ongoing hod and cold streaks and frightening batting averages. Young fits in perfectly with an A's squad that never pays much attention to batting average and instead was likely more interested in his solid on-base percentage. Either way, Young's fantasy baseball outlook doesn't change much as he is now flat in his prime and should continue to supply decent home run/stolen base juice with a scary average. As far as Pennington is concerned, he has little to no fantasy baseball value with Oakland and that doesn't change now that he goes south. Arizona Flips Cabrera to Miami Marlins for Closer Heath Bell: The D-Backs immediately sent Cabrera to the Marlins for closer Bell and the last two years of his monstrous free agent contract. It took Bell only a month to show the Marlins and the rest of the baseball world that he was nothing like the stud closer he once was with the Padres. With the Diamondbacks not likely to bring back J.J. Putz to pitch in the ninth inning, Bell is likely first in line to nab saves for the team this upcoming season. This surely helps boost his fantasy baseball value in the short-term but Bell has a lot to prove before we spend anything but a very late draft pick on the guy next spring. Hopefully this is a sign of a very busy baseball off-season as we expect it will be. As always we will be here every step of the way to evaluate all of the deals and the effects on the upcoming fantasy baseball season. Pitching in the Tigers' rotation is tough, considering that you are always going to be overshadowed by Justin Verlander, who is the best pitcher in baseball. However, it is debatable that Max Scherzer, now that he has had his breakout season we've all been waiting for, could be an ace on almost any other team. Scherzer came into the season under the impression that he was going to be a #3 or #4 starter at best, but really opened some eyes throughout the entire season, and especially down the stretch. Scherzer was drafted in the 1st round (11th overall) by the Diamondbacks in the 2006 draft. He was a highly touted prospect in their organization, and quickly rose through their farm system. By the time 2008 came around, he was having success in Triple-A and earned that call-up to the big leagues. He split time as a relief pitcher and starter, but had success nonetheless. A 3.05 ERA with a 10.6 K/9 was certainly impressive, and Arizona was excited about his future with the club. He spent the entire 2009 season in the starting rotation, and had a decent season. He posted a 4.12 ERA in 30 starts, but managed to rack up 174 strikeouts. The Diamondbacks then had a major decision to face. They chose to be involved in the three team deal centered around Curtis Granderson, who was going from the Yankees to the Tigers. The Diamondbacks ultimately gave up Scherzer in the deal, trading him to the Tigers. Arizona ultimately got Ian Kennedy and Edwin Jackson in return. The Diamondbacks knew that giving up Scherzer was a risk, considering that he had such high upside. Generally when a pitcher goes from the National League to the American League, his numbers take a slight hit due to the tough hitters in the AL, but this was not the case with Scherzer. He had his first true good season in 2010, posting a 3.50 ERA in 31 starts while striking out 184. With that being said, Detroit expected him to continue his success in 2011, but that did not happen. He struggled all year long, and let up more than his fair share of hits, but managed to still strike out 174 in 195.0 innings. Coming into the season, I'd be the first person to tell you that Scherzer would be a #3 pitcher at best. I've always envisioned him as an innings eater with explosive stuff when he is on his A game. However too often Scherzer would struggle with his command, thus forcing him out of starts after 5 or 6 innings and leaving wins on the table in addition to spiking his WHIP. The strikeouts were always fantastic but the overall package was underwhelming. That all seemed to finally change for the better in the second half of 2012 though as Scherzer forced fantasy baseball owners to finally give him respect as a possible to of the rotation starter. Scherzer's second half performance, which was off the charts to say the least and gives strong evidence that quite possibly he has finally figured it all out at the major league level. Overall Scherzer pitched to a phenomenal 2.69 ERA with a 1.15 WHIP. He also struck out an insane 110 batters in only 90 second half innings. This extended run of ace-like pitching has me fully committed to looking at Scherzer as a number 2 fantasy baseball pitcher for 2013 and one of the best bets to lead the majors in strikeouts. Ultimately, Max Scherzer is a guy we used to be leery of but are now looking to draft for 2013 fantasy baseball. The strikeouts are extremely good, and his ERA and WHIP could be in the low-3.00's and between 1.10 and 1.20 next season which clearly is a terrific package of numbers. The best part is that Scherzer's draft price is not likely going to reflect his second half charge and thus another season of profit surely can be. We will remind you again that drafting fantasy baseball players are all about finding value and Scherzer fits that bill for the upcoming season. Feel free to be aggressive in procuring his services for 2013 and enjoy what could be a season-long breakout of dominance. The third base position has become one big M.A.S.H. unit over the last two seasons, with injuries ravaging almost all of the top guys during that time period. Whether it was Alex Rodriguez, Pablo Sandoval, Aramis Ramirez, Evan Longoria, Jose Bautista (last season), and Kevin Youkilis, fantasy baseball owners were left to using the waiver wire to fill out their third base slot due to all of the injuries. It was under this scenario where some of these same owners found themselves uncovering a guy who could absolutely vault toward the top of the third baseman rankings in 2013 if all breaks right. I am referring of course to Boston Red Sox 3B Will Middlebrooks who was promoted due to Youkilis' injury and proceeded to have a season worthy of Rookie of the Year Honors in a non-Mike Trout year. It was this performance that has us looking at Middlebrooks as a tremendous fantasy baseball value for the upcoming season and who in the end, could produce big time numbers for a guy who could be picked in the middle portions of your draft. What makes these numbers look even better is the fact that Middlebrooks did all of this in only 267 at-bats. While not an exact science, if you were to extrapolate those numbers across a full season of at-bats, Middlebrooks would come in at around 30 home runs with 100 RBI. So one can easily see why we are so excited about Middlebrooks for the upcoming season. The stat that stands out obviously is the power and hitting in the friendly confines of Fenway Park will not doubt keep Middlebrooks' home run numbers at a very high level. The RBI's will come along for the ride like usual and Middlbrooks should bat in the third or fourth slot since the Red Sox traded off all their big bats in the deal with the Los Angeles Dodgers last season. Yes his runs total was a bit low but that was because Middlebrooks hit sixth most of the year which is a not a good spot to collect a bunch of stats from that category. Moving up to third or fourth as expected will cure that deficit due to the extra at-bats he will accumulate and for the fact that he will be right in the thick of the lineup. As far as some negatives are concerned, Middlebrooks struck out 70 times in those 267 at-bats. His .288 average was actually inflated a bit due to some luck on the batted ball and so he could be headed down in that respect this season. Think something along the line of .265-.275 unless he makes strides there with experience under his belt. Also Middlebrooks is not the greatest base stealer and is not likely to swipe more than 10 bags or so. All in all, Will Middlebrooks is one of the brightest young hitters in fantasy baseball and he makes for the greatest value at the third base position since his draft price is not terribly high and the numbers he could provide should resemble something along the lines of a guy selected 5 or 6 rounds earlier. The season-ending injury Middlebrooks suffered the second half of 2012 was actually a good thing for his draft price as many owners will consider him out of sight/out of mind and forget about him since it has been so long since they have seen him out on the field. Thus there is a prime profit which you can make on the guy this season and so failing to get Evan Longoria, Miguel Cabrera, or Hanley Ramirez early on in your draft, this is the guy you want to go after with maximum effort next season. It is time to check out the fantasy football Week 7 QB rankings which are based on opposing matchups. Back in the summer when yours truly took part in the Fantasy Sports Boss Experts Draft, I used my last round pick on Seattle Seahawks rookie QB Russell Wilson based on the incredible preseason he had just completed, winning him the job over Matt Flynn in a major upset. With his ability to both throw and run with the football, images of a poor man's Cam Newton flashed in my head. I wouldn't start him since I had Matt Ryan but I would stash him on the bench as a means of observing Wilson in order to see if he could eventually be a bye week fill-in or an injury replacement in the short term. Right out of the gate Wilson showed why he won the job in the first place as he threw four touchdowns with only one interception in his first three starts. Wilson didn't pile up a ton of yardage since Pete Carroll didn't allow him to air things out just yet but he was solid nonetheless. However like with any rookie Wilson had his moment's of struggle and his came in Weeks 4 ad 5 when he threw an unacceptable five interceptions and only one touchdown. Calls for Flynn began to heat up and Carroll was forced to endorse Wilson as his starter leading into a monster game against the New England Patriots. However Wilson reached inward and summoned his best game of the year by throwing for 293 yards and 3 touchdowns in the come-from-behind win over the Pats which placed Seattle right into the thick of the NFC West race. Thursday night the Seahawks visit archrival San Francisco in another momentous game for Wilson and his young teammates. With the by week taking out six NFL teams, including top notch fantasy football passers Ryan, Philip Rivers, and Michael Vick, Wilson is on the short list of potential replacements. Sure the 49ers defense is formidable to say the least but with so few quality options at QB available on the wire (Matt Hasselbeck?, Sam Bradford? ), Wilson stands out as a prime fill-in guy. Once again Wilson has shown a penchant for throwing the football (overall 1,108 yards, 8 TD's/6 INT's), while also picking up yardage on the ground (32 rushing yards). Those in two-QB formats are already well in on Wilson but if you own one of the QB's on the bye this week, than Wilson is decent pickup to try and get you through your shorthanded week. He is right on schedule as a playmaking QB and could very well finish as a back end fantasy football every week starter. The rumor mill is already swirling and the World Series has yet to be played but word has begun to circulate that the Miami Marlins will look to acquire New York Yankees third baseman Alex Rodriguez for struggling closer Heath Bell. With Rodriguez being benched in the team's playoff series against the Detroit Tigers and in the midst of his worst season ever, it appears as though that he and the Yankees can't co-exist anymore. On a similar note, Bell has already worn out his welcome in Miami after quickly losing his closing job and ripping manager Ozzie Guillen in the first year of his three year contract. Analysis: There is almost no way Rodriguez can come back to the Yankees after this latest fiasco and same for Bell in Miami so a match is there. However the Yankees would have to throw in a decent amount of money to offset the insane amount of compensation Rodriguez is due in the last five years of his deal. Stay tuned. Let's take a look at the final 2012 fantasy baseball second baseman rankings. And be sure to reserve your copy of the 2013 Fantasy Sports Boss Fantasy Baseball Draft Guide: Early Off-Season Edition by using the BUY TAB above on the homepage to purchase. 1. Robinson Cano: Cleared the 30 home run mark for the first time in his career. As big a gap between the top guy and the number 2 than maybe any other position on the field. 2. Ian Kinsler: Stayed healthy for second year in row but saw decent drop in home runs and steals. 3. Dustin Pedroia: Becoming what Kinsler was back when he couldn't get through a whole season healthy. Decent risk here due to all his health problems. 4. Ben Zobrist: Has eligibility everywhere and contributes quietly across the board. 5. Brandon Phillips: Past the age of 30 now and the steals have been fading for a few seasons. However the average has improved which offsets that loss some. 6. Jason Kipnis: Was looking like he would be top 3 based on his awesome first half but collapsed in second. Typical growth issues for young player. 7. Aaron Hill: Believe it. Looked how good his numbers were in first season with Arizona. 8. Chase Utley: Time to move on for good. 9. Jose Alvuve: Not much in the way of power but terrific in steals and runs. 10. Rickie Weeks: Can't stand the average issues, he always gets hurt, and he doesn't collect RBI's. No thanks. 12. Dan Uggla: Time to move on II. Just pathetic last season and the power slipped. Without the pop he is useless. 16. Eric Young Jr.: Was on his way to possibly a nice season until he got hurt. You get the feeling he is sitting on a major bustout campiagn. 17. Everth Cabrera: Could steal 50 bases. 18. Howie Kendrick: Time to move on III. 19. Pedro Ciriaco: Nice debut and has the tools to move up the rankings quick. As we noted on Tuesday, Week 7 in fantasy football is going to pose a major problem for many owners due to the sheer volume of top players who are going to be out of action among the six teams who have off. Hence the waiver wire will be the prime source to fill in those open slots in your lineups and thus keying in on the best available options no doubt will increase your chances of winning this week without some of your best guys. That leads up to Green Bay Packers running back Alex Green who stepped up into the starter's role last Sunday night against the Houston Texans in the absence of injured Cedric Benson. Green wound up rushing for 65 yards on 22 carries along with catching a pass for 8 yards in the team's romp over Houston. With Benson out the next 7 weeks with a Lisfranc foot injury, Green will continue to be the bellcow back in the Packers' offense, with head coach Mike McCarthy stating so on Tuesday. So let's dig in a bit more and find out what Green could continue supplying his fantasy football owners going forward. First for a little background, Green was originally a third round draft pick of the Packers in the 2011 NFL draft out of pass-happy Hawaii and proceeded to play little as a rookie behind James Starks and Ryan Grant. It looked to be more of the same in 2012 as well since Benson was brought in to handle the prime running back carries, with Starks backing him up. Well Benson's injury opened up the role for Green, who truth be told had already passed Starks as the backup in the offense and who opened some eyes with solid running when he got his limited chances. While Green was snot spectacular by any means last week in averaging only 3 yards per carry, you have to factor in that he was going against one of the best defenses in the entire NFL in the Texans. The sledding will get much easier this week against a St. Louis Rams squad that has had problems stopping the run. Also Green is not much of a pass catcher so don't look for much help in PPR formats for the time being. Also the fact that McCarthy said that Green will get the majority of carries instantly makes him a key player to target, especially with the bye weeks arriving, since he will now be placed in a position to be a difference-maker for those who add him. While we reiterate that Green won't light the world on the fire in Benson's place, the fact the team has so much confidence in him speaks volumes. There is little risk in taking a shot here and a lot to gain if Green continues with his ascent. It has been three weeks since we checked in on the 2012 fantasy football QB rankings so let's see where everyone checks out. 1. Aaron Rodgers-6 TD's Sunday night a reminder he is still the top dog by a mile. 2. Drew Brees-Brees airing it out all day and night like usual. 3. Matt Ryan-Stumbled for first time versus Raiders but no one has bigger green light to throw it other than the two guys listed above. 6. Peyton Manning-Look is quickly shooting up the charts. Was utterly ridiculous in the second half VS. San Diego. 7. Robert Griffin III-Too much time has gone by to not completely buy into this unreal talent. 10. Matthew Stafford-Yeah Stafford is severely lacking in touchdowns right now but they will come soon enough. 11. Andy Dalton-Continues to chuck it and collect scores. Sounds good. 12. Philip Rivers-Just don't look at how pathetic he was versus Broncos Monday night. 13. Cam Newton-Falling fast down the rankings with horrendous play. Sophomore slump lives again. 14. Michael Vick-Could be out of a job soon as he is a turnover-machine with no signs of letting up. 18. Andrew Luck-Looked like a rookie again versus Jets. Mama said there would be days like this. Keep the faith. 19. Russell Wilson-Two very good games in a row has him on the upswing. 21. Ryan Tannehill-So far he has been better than I thought. Not there as far as consistent ownership yet. Dallas Cowboys RB DeMarco Murray has already been ruled out for Week 7 due to the foot he injured in last Sunday's game against the Baltimore Ravens. Felix Jones will start in his place. Analysis: No word yet on how severe Murray's foot injury is but it is obviously bad enough to alreayd have him ruled out. It is a decent-sized blow for Murray owners who picked him thinking he would pick up where he left off as a major breakout runner as a rookie in 2012. Stash him on the bench and pick up Felix Jones in all formats. Green Bay Packers head coach Mike McCarthy said that Alex Green will get the majority of carries in place of the injured Cedric Benson who is out 8 weeks with a foot injury. Analysis: Green is a very good pickup this week since so many teams are on byes. Any runner who gets the majority of carries for his team is a person of interest to all fantasy football owners and Green is no different. While he won't be a huge difference-maker, Green has the chance to put up RB 2 numbers the next several weeks. Arizona Cardinals QB Kevin Kolb is out the next six weeks due to injuries to his shoulder and sternum sustained late in the team's OT loss to the Buffalo Bills in Week 6. John Skelton will start in his place going forward. Analysis: It is not likely Kolb was one many fantasy football rosters but in two-QB formats you shuld just cut him loose and start over. If Skelton plays well in his place, he is likely to remain the starter after the Cardinals dropped the last two games. Week 7 in fantasy football no doubt is going to be quite the challenge for many owners out there. When looking at your roster for this week, you are likely going to see a bunch of "BYE" messages next to your key players' names as six NFL squads get the week off, with some of them being amongst he best offensive units in the league. Let's take a look at the six teams who are in fact off and the key players who will be of no use to you this week. That is a whole lot of offensive weaponry out of lineups this week and from personal experience I am feeling the crunch. In fact I doubt I have any chance with my 4-2 roster to win this week in the Experts League as I am completely decimated with byes. The players who are out of my starting lineup this week are Ryan, Decker, McCoy, White, Bryant, and DeMarco Murray is likely out injured. My backup QB? Philip Rivers (yeah I should have researched that better during the draft). So Russell Wilson will be suiting up as my third-string starter this week and no doubt I am not going in optimistic. I already have scanned the waiver wire and made claims on Kenny Britt and Randall Cobb. I also have Jason Hanson as my other kicker which is a tremendous option. Running back? Not so good there as Felix Jones is a must add for me off waivers and Jackie Battle is being looked at again as Ryan Matthews has more issues. So with all of our rosters seemingly decimated this week, let's take a look at some other names who could be use. Russell Wilson: I already spoke about how I am adding Wilson to be my QB this week despite a rough matchup against the 49ers. He comes off a three-TD performance which was the second of two solid outings in a row. Clearly Wilson is very comfortable with the offense now and more games like last week's will have him in the discussion of being close to an every week starter. Matt Hasselbeck: Hasselbeck gets the start against the awful Bills defense this week as Jake Locker is still not ready with his injured left shoulder. While not the Pro Bowler he used to be, Hasselbeck played great against the Steelers last Thursday and this matchup is a much easier assignment. Brandon Weeden: This one might seem like a stretch but Weeden was solid last week in throwing for two scores in an upset over the Bengals and you can't be too choosy when so many players are on the bye. Vic Ballard: Ballard was not utilized much last week against the Jets since the Colts fell so far behind so early that they were forced to air it out. The Rams defense is nothing to write home about so Ballard stands a better chance to having a decent enough game. Felix Jones: DeMarco Murray is likely out this week with yet another foot injury and the solid Jones is ready to step in. A better pass catcher than Murray, Jones plays well in all formats. Alex Green: Green got the majority of carries for the Packers Sunday night against the Texans and he was pretty solid. While the Packers throw it more than anyone, just the idea that Green will get the most carries in this explosive offense makes him on to target. Montario Hardesty: If Trent Richardson sits out with a rib injury, Hardesty would be the next guy to step up. Hardesty has some ability and is a big back capable of grinding out tough yardage. Kendall Wright: Wright has caught 7, 4, 9, and 6 passes the last four games and he already is dueling with veteran Kenny Britt to be the main guy in the Titans passing offense. With the veteran Hasselbeck back under center this week, Wright should be at the top of your list for a replacement receiver. Nate Burleson: Burleson always seems to be there on the waiver wire when you need him. The Lions continue to throw the ball with reckless abandon and Burleson is right in the thick of the attack. There you have it. These are some of the names you need to be looking at when it comes to filling in your bye week open slots. Let us know some of the names you were able to snag. More injury issues to discuss coming out of fantasy football Week 6. Let's get right to it. -Rashard Mendenhall (achillies): Pittsburgh Steelers RB Rashard Mendenhall "has a good chance to play" in Week 7 despite coming out of last Thursday's game against the Tennessee Titans with a sore achillies tendon. Mendenhall was just coming back from the torn ACL that ended his 2011 campaign and ran well in the game and a half he took part in before the latest setback. However both Mendenhall and a team source claim he should be able to go Sunday. -Pierre Garcon (foot): Garcon was surprisingly inactive on Sunday as he once again is dealing with pain in his previously injured foot that cost him four games already. The Redskins wideout admitted he is having difficulty pushing off and so his status going forward is murky at best. Cut him loose in all formats as the time to stop waiting has officially arrived. -Trent Richardson (ribs): Richardson injured his ribs during Sunday's win over the Cincinatti Bengals which forced him to the bench and left him in pain afterwards. He was spotted slowly putting on his clothing after the game and admitted he was hurting. No stranger to injury, Richardson is probably looking at a questionable tag for Sunday's game which means his owners should start looking at backup Montario Hardesty as a replacement. Hardesty ran well in his place and would work in the short term until Richardson gets his health in order. -Brandon Bolden (knee): Bolden injured his knee during Sunday's loss to the Seattle Seahawks but he was seen walking without crutches afterwards. With Bolden running well at times, he was looking like he had a shot to unseat Stevan Ridley due to the latter's issues with fumbles. Hold off on adding him until he gets back to the field and continues to eat into Ridley's playing time. -Brandon Lloyd (hip/shoulder): Lloyd was talked about after the Patriots game as being injured but no word was officially released by the team as per its usual custom of being evasive with that subject. While Wes Welker continues to get more looks in the passing game, Lloyd has played well this season as expected as the new deep threat. Check back for more later in the week to get mroe clarity on his injury. -DeMarco Murray (foot): There has been no word yet on how severe Murray's foot injury is after he came out of Sunday's loss to the Baltimore Ravens hobbled. Murray of course broke his foot last season and is headed for an MRI. His loss would be significant and thus Felix Jones would be the guy to target as his replacement in the backfield. Adrian Peterson: 17 carries for 79 yards along with 7 catches for 50 yards. Truth be told Peterson has not been that explosive yet this season, which jives with the idea it takes a runner recovering from an ACL tear a full year to get back to normal. Still he caught 7 passes today and remains a very good asset in all formats. Alfred Morris: 16 carries for 47 yards and 1 TD along with 1 catch for 9 yards. Morris was lucky he hit paydirt again or it would have been a complete bust of a day. DeMarco Murray: 14 carries for 93 yards along with 1 catch for 4 yards. It was a cruel day for Murray owners as he was having his best running day of the season before another foot injury. He is headed for an MRI tomorrow and right now the team is calling it a sprain. Pick up Felix Jones right away. Ray Rice: 16 carries for 62 yards and 2 TD's along with 1 catch for 43 yards. It makes you wonder how even more incredible Rice could be if he got 20 carries a game. Reggie Bush: 12 carries for 17 yards along with 5 catches for 44 yards. Bush has had three poor games in a row now which just so happen to be the three games since he hurt his knee. While he says he is healthy, the results are not bearing this out. Steven Jackson: 12 carries for 52 yards along with 3 catches for 28 yards. I really don't like talking about Jackson anymore since he is clearly going the wrong way with his value and game. Keep him hammered to the bench. Mikel Leshoure: 15 carries for 70 yards along with 3 catches for 24 yards. The Lions have been in a ton of shootouts so Leshoure has not had much of a chance to get his running game going. Continue to start him only in PPR formats. LeSean McCoy: 14 carries for 22 yards along with 7 catches for 26 yards and 1 TD. McCoy is another big name player who is not putting up the numbers we are used to seeing. The Eagles offensive line is a huge mess and so McCoy's shaky results in that part of his game are not that surprising. Shonn Greene: 32 carries for 161 yards with 3 TD. Evidence that every dog has its day. Vic Ballard: 8 carries for 25 yards along with 2 catches for 17 yards. The Colts had to throw early and often after the Jets took off on them early so it is tough to judge this small sample size. Watch him another week. Jamaal Charles: 12 carries for 40 yards along with 2 catches for 7 yards. Always a bummer when a guy with loads of expectations on him like Charles does next to nothing. I mean he can't run for 200 yards every game. That would be some kind of record. Doug Martin: 13 carries for 76 yards along with 2 catches for 55 yards. Martin continues to underwhelm and at this point your patience has to be getting tested if you own the guy. Wait this out just a bit longer as he is too talented to continue with his mediocre outings. Michael Turner: 11 carries for 33 yards along with 1 catch for 6 yards. Yuck. Turner will have a big game once out of every four at this point. The decline is in full force. Darren McFadden: 27 carries for 70 yards and 1 TD along with and 1 fumble along with 3 catches for 28 yards. Way too many carries for McFadden to hit 70 yards as his running continues to be more than concerning. McFadden is as talented as any player in football and so the Raiders offensive line bears most of this blame. With Jonathan Ogden not coming out of retirement to play for them, we can't say this trend won't continue on for awhile. Stevan Ridley: 16 carries for 34 yards. Ridley is starting to become a bit too hit or miss for my liking. Also with his penchant for fumbling, it wouldn't be surprising to see Brandon Bolden getting more carries soon enough. Marshawn Lynch: 15 carries for 41 yards along with 1 catch for 11 yards. Lynch is a little light on the impact game so far but as one of the only bellweather backs in the league, the opportunities there are limitless. C.J. Spiller: 12 carries for 88 yards and 1 TD along with 4 catches for 22 yards. Once again Fred Jackson got more carries (16 for 53 and 1 TD along with 5 catches for 30 yards) so he is like the 1A to Spiller's 1B. On talent alone Spiller could be a top five running back in fantasy football but Jackson's presence makes both guys RB 2's. Ahmad Bradshaw: 27 carries for 116 yards and 1 TD along with 1 catch for 4 yards. Double impressive that Bradshaw was able to rush for over 100 yards against the tough 49ers defense. Two very good games in a row has Bradshaw's stock on the rise to say the least. He is back in the good graces of fantasy football owners as a RB 2. Frank Gore: 8 carries for 36 yards along with 4 catches for 20 yards. Gore was doomed as soon as the Giants stormed out to a big second half lead. No grind out carries were going to be coming his way. Check back next week.